Political polarization in the US is at an all-time high. A Pew Research Center study tracks partisan differences across ten specific political values. The study shows the partisan gap has more than doubled between 1994 and 2017. The divide increased from 15 to 36 percentage points. In such divisive times, we are all looking for answers to bring our nation together. Librarians often cite a 2009 study highlighting the positive effects of reading fiction. 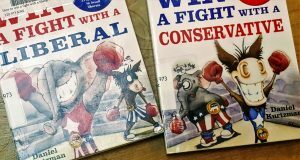 The research finds that “Readers of fiction tend to have better abilities of empathy and theory of mind.” Perhaps promoting stories with diverse opinions might be just the thing to begin to bring unity to our country. 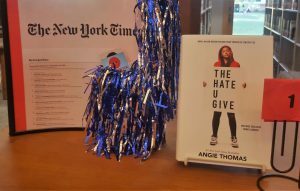 Librarians have the unique opportunity to provide books that tell the story of underrepresented and disenfranchised groups. 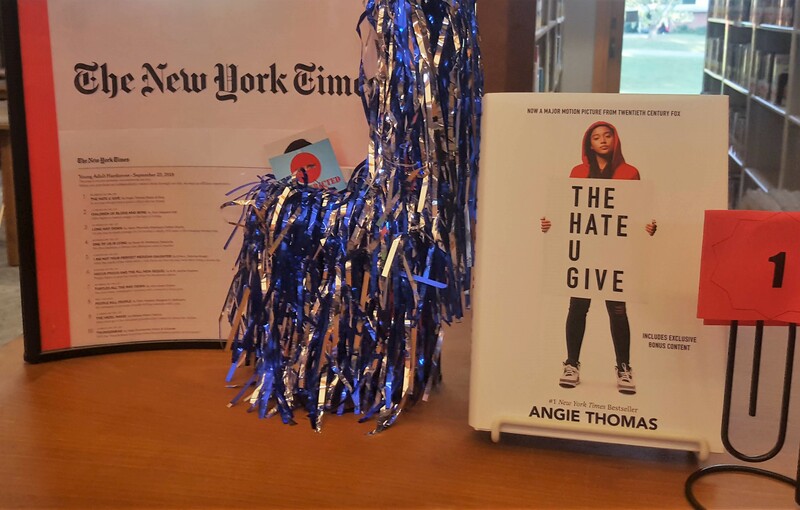 Books I am reading that have furthered my empathy include The Hate U Give by Angela Thomas, a compelling story that can help students empathize with the “Black Lives Matter” movement. Another important read I Am Not Your Perfect Mexican Daughter by Erika L. Sánchez‎ provides insight into the lives of the teenage children of Mexican immigrants. Tradition by Brendan Kiely could help teens understand how the “Me Too” message might affect the lives of those around them. At least two of these books touch on the genuine issue of teen depression and suicide. These are just a very few of the many books that can help with empathy. School Librarians and Teachers Are Creating These Movements in Their Schools. Community Members Are Creating Unique Movements to Highlight Diversity in Reading. Marley Dias leads the 1,000 Black Girl Books social media movement. 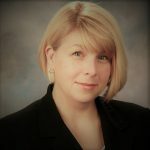 Her book Marley Gets It Done (And So Can You!) includes an extensive book list in the back that is great for collection development. Alvin Irby is the creator of Barbershop Books, “the nation’s most innovative solution for inspiring young black boys to read.” Barbershop Books provides reading materials for young boys waiting for a haircut. The Barbershop Books Blog provides fabulous reviews and recommendations. Finally, the group We Need Diverse Books is a grassroots organization founded in 2014 through a collaboration between Ellen Oh and a group of children’s books authors. The WNDB website provides a booktalking kit and collection development lists. These are excellent recommendations! Thank you for sharing. Is there a way for school librarians (ever retired ones, such as myself) to share lessons plans with others on equally important topics, such as Human Rights. I have a unit that I would be pleased to share with like-minded teacher-librarians.